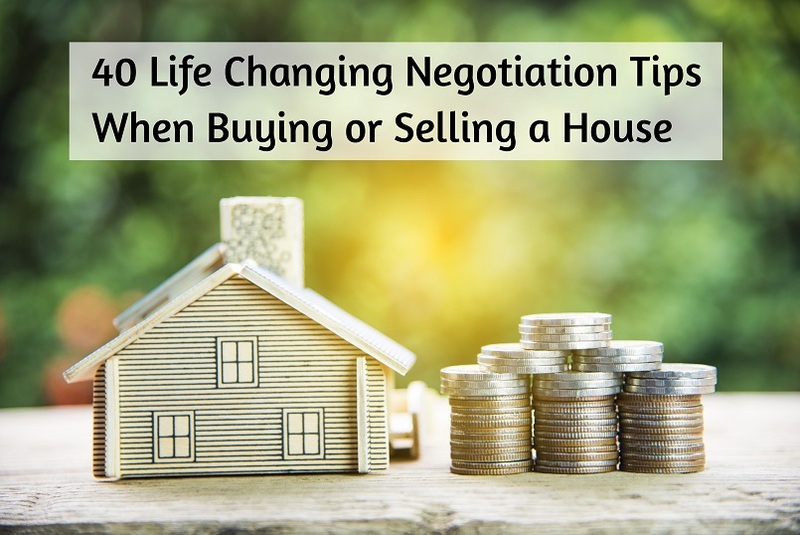 The first part of this article contains the tips on negotiating when you are buying a home, either scroll down or jump to the part with negotiation tips when selling your home by pressing this link. We suggest you read both parts as it will help prepare you and know what the other part may be trying to do, sellers will know the negotiation strategies of buyers and the other way round. Buying a home is a huge task and something that you only do a few times in your entire life. Going into the process prepared means you can hopefully save some money on the home of your dreams. Considering you are going to be spending more money on one thing than you ever have you need to be sure you are doing the best job you can negotiating the price. Go into your negotiations prepared and you will do much better. 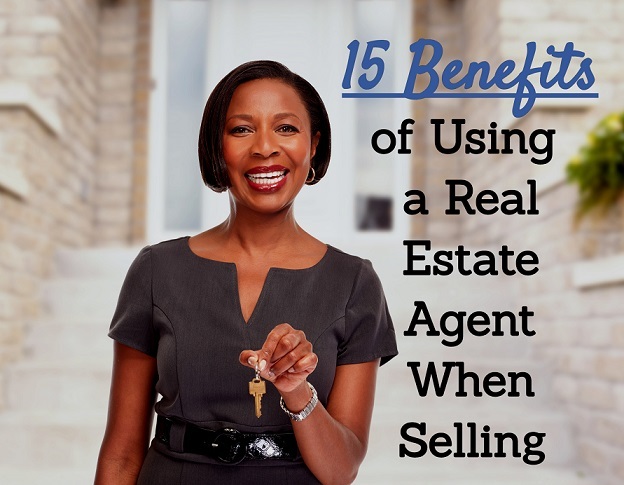 Remember that you are likely going to be using a Realtor, and should rely on them. 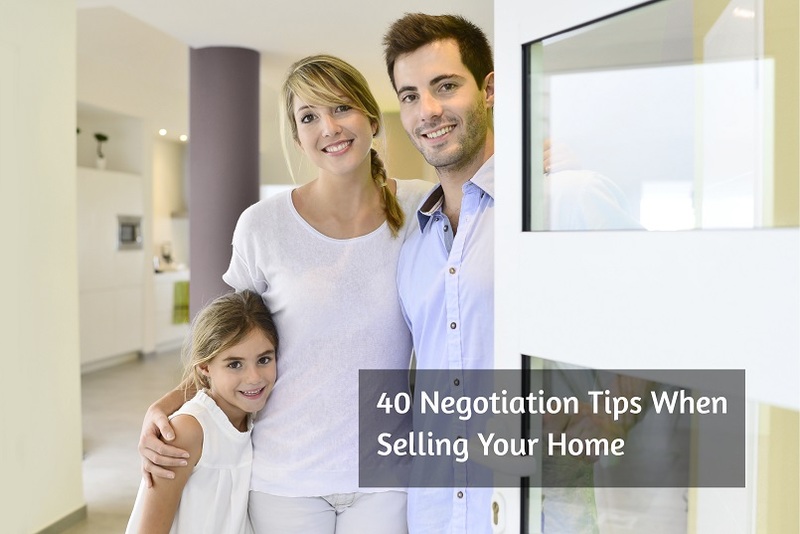 If you are doing the negotiation yourself these tips can help you succeed at getting the best price possible on your new home. 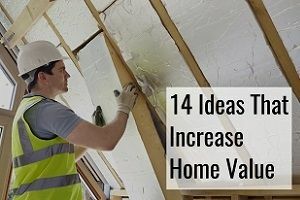 As you walk through the home try to make note of anything that isn’t up to code or standard. If something needs to be fixed, that is something you can negotiate with the seller. Do your best to learn why they are selling. Sellers who are in a hurry or must sell might accept a lower offer than one who has time to spare. Ask to see if they have had an appraisal done on the home. Use this as a guide to submit your first offer. Submit fair and reasonable price offers or they may be rejected out of home. Be willing to walk away. In negotiations, the one who is willing to walk away has the strongest position. Ask if the person there can handle the negotiations if it comes to that. This avoids the tactic of putting off your bid until they can “check with the manager”. Submit your proposals in writing to be clear on what you want included. Use silence to gain some advantage when negotiating in person. Usually whoever breaks a silence bends on what the issue is. Your body language can be a negotiating tool. Use a frown, a shrug, a wince, crossed arms, or some other non-verbal cue to show them you are unhappy with a point in the negotiation. Make sure you look at the market. Explore comparable properties and put your offer in with the differences of the property you are bidding on in mind. Don’t tell the seller anything that reveals how eager you are to buy the home. The more a seller knows that you want something, the more they know they can raise the price. Remember your Realtor is the person that you can count on to negotiate, but they aren’t a friend. Your relationship is a business relationship. Keep things professional and honest with your Realtor to get the most out of their help. Avoid telling the “why you want this house” story, keep conversation simple and don’t tip your hand. Always be nice, and genuine, while you are keeping anything they can use out of the conversation. Always know your upper limit. Before you begin looking at homes know how much you can spend, including taxes and insurance. This is your hard limit and never negotiate above it, no matter how tempted. Do your best to seem hesitant about the purchase. Never reveal that you must make a deal fast because you must be out of your own home. Also, if you have come into money this is not something the seller should know about. Make sure to also check out these negotiation tips by FBI negotiator Chris Voss. If the price seems over the comparable properties in the area, ask what justifies the higher price. Avoid getting emotional, remember it is a business transaction. Don’t let yourself be angry about rejected offers you feel are fair. Your frustration with the process shouldn’t be allowed to interfere with the process itself. Even if you are good at negotiating, let your Realtor do the work. It’s one of the things you are paying them for, the nitty gritty aspects of negotiations. Sometimes incentives for the seller, or your Realtor, can close a deal. Your Realtor might make you a higher priority client if you offer a higher percentage. If you need to buy in a hurry, try to come up with incentives to sway the seller to act quickly. Don’t hesitate to let the seller and the agents involved know you will rent if you can’t buy at the time. It makes you look less desperate to buy a home. Even if you don’t think your upper limit is enough, try submitting an offer for the home. You never know how much a buyer may need to get out of their property. If they respond to an offer with the list price of the home, don’t get discouraged. Raise your offer slightly and submit a new one to see if they are willing to come down at all. If the seller invites you to submit a new offer, look at the situation and if you can come up on your price then submit a slightly higher offer. If the seller says they aren’t accepting offers until a set date, make sure to still submit a fair and reasonable offer on that date. You may be the only one who does. Ensure you put a time limit on a counter offer. When you counter an offer, you enter a negotiation. While you are negotiating, you are legally restricted from accepting other offers until you end that negotiation. If you ask the seller to pay closing costs, be prepared to have them try to include it in the price of the home. If this is something you are okay with, then don’t walk away. If you don’t have the cash up front for closing costs it might be a benefit to have them make the offer. Consider concessions in some things to get a lower price. Allow longer for the seller to move out of the property, or a quick close, whatever may be a negotiation point. Check and see if you are in a buyer’s or a seller’s market. If it is a seller’s market, then you may have a bit more power in the negotiations than if the buyer has a lot of options. Never lead with the highest price you are willing to pay for the home. Always go in a little under to give yourself to negotiate a little. If something needs to be repaired in the home, ask the seller to either fix it as part of the final agreement, or to lower the price by what that repair will cost. The price of the home is not the only thing to negotiate. If there are other aspects such as HOA fee’s or changes to the property that you want, make sure that you don’t fixate on the price. Keep calm and don’t allow any discussion to become combative. Keep questions succinct and to the point. Avoid asking about things that won’t move the negotiation along. If the seller makes a counter offer, answer it within 24 hours, but not in 24 minutes. Too fast of a response makes you seem over eager. The more you can make the seller seem your friend, the more they will consider your offer. Try to find interests that you share, or anything you can use to make them feel more friendly. Be a skeptic when it comes to things your seller says. Not every seller will make up a story for sympathy, but you should still stick to the facts. Your cousin may be a great Realtor, but you shouldn’t use them to buy or sell a home. It creates a conflict of interest that can complicate the process. Hire a Realtor that you won’t feel guilty walking away from if you don’t think they are doing the right job for you. Know what your budget will get you. You can’t expect marble floors on a vinyl budget. Try to get as much as you can, without trying to get more than you can reasonably expect in a home. Don’t bring the kids with you when you go home shopping if they aren’t old enough. Nothing makes a situation more difficult than chasing a toddler. If you are so focused on the children, you will miss details that could cost thousands later. Negotiating the sale of your home is one of the most important things you may ever do. Most of us don’t make deals in the hundreds of thousands every day. Considering this is probably the single most expensive thing you will negotiate you need to be at the top of your game. While these tips will help you make the best of your negotiation there are no magic bullets. The best thing you can do when trying to negotiate your home sale is to be informed. Make sure you are the expert on your home, and the local market. Most of the time the better-informed person is the one who wins out in the end. Always make sure your home is in the best possible condition when you go to sell it. Having your home in perfect shape is the best way to have a better negotiating position. 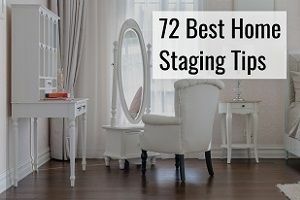 A seller who wants your home will be more likely to give you the best price possible, and it might be worth looking into staging your home properly and improving curb appeal. Try to learn anything about your buyer that you can use by asking questions and perhaps researching the person. If you find out they have a mother who visits a lot, point out the extra room. If they have pets, point out the nearby walking paths. Pay for an independent appraisal, and keep it available to buyers. This is an objective way to say what your home is worth. Be fair and price your home consistent with your appraised value and in relation to comparable properties in your area. This creates an environment where the seller must justify not meeting your price. Be prepared to walk away. This is the strongest negotiating tool you have. In most negotiations, the one who can’t walk away, loses. 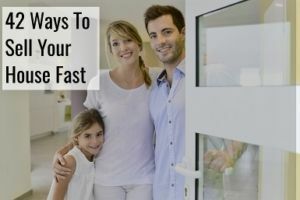 Ask if they want anyone else involved before negotiations start to avoid the buyer’s tactic of saying they need to pass it by their attorney or family. Make sure all offers are in writing to avoid the “Also we would like” conversations. Changes to a written offer create a new offer you can reject. Use silence to your advantage. If an offer is made that is unfair or not high enough, simply wait. In most situations, the buyer will speak first and change their position. If the silence goes on too long only restate your initial offer, but don’t change your offer. Use body language to your advantage. Instead of rejecting an offer cross your arms and lean back. A quick frown can show annoyance without having to say anything. Practice these to get the best mileage. Do the research to know the market and neighborhood, down to street level. Know how your home compares to other homes that are on the market. Holding out for more than a better home two doors down is not a good negotiating tactic. Keep bad news to yourself, don’t give a buyer leverage by letting them know anything about negative situations in your life. You may think they will make a better offer out of pity, usually this is not the case. Remember your Realtor is a great resource, but not your friend. It’s a business relationship. Keep things professional and honest with your Realtor to get the most out of your home sale. Don’t tell your “why you want to sell” story, keep it simple and give them nothing to work with. Be personable, but stick to facts about your home. If you must sell because of financial reasons, try negotiating with the bank first. Often they will take a lower amount while you are trying to sell rather than get nothing if you default on the loan. If this is the case speak to the loss prevention specialist at your bank. Avoid any indication you must sell fast, don’t mention divorces, getting fired, or married and needing to move. You should always make selling seem like an option you want to take, not an option that you need to take. Never try to explain why you have your house set at the price it is. Don’t detail what you have renovated, or new fixtures. At most you can use the appraisal you hopefully have already had conducted. Don’t get emotional, let the process happen as a business transaction. Do your best not to be angry about low offers, or feel insulted. Keep your emotions out of it if you can. You love your home but to the buyer it is just something new. Even if you are the king or queen of sales, let your Realtor negotiate this one. Step away from the process and go buy a nice lunch when prospective buyers are scheduled to be there. If you aren’t there to reveal information, then you can’t impact the negotiations. Offer incentives to either the buyer, or your Realtor, or both. Offer your Realtor a higher percentage for the portion above your asking price, or offer to pay more of the buyer’s fees. If you are in a hurry, offer that incentive for a set time to motivate them. Have a viable alternative to selling your home. Don’t hesitate in letting your buyer and agents know you will rent it out if you can’t sell. Just that you’d prefer to be clear of the property, it makes you look less needy. Chris Voss, an FBI negotiator, suggests never to split the difference. If you are needing to sell, always make a counteroffer even if the initial offer is way too low. Come down only a small amount to see if they will negotiate a higher price but don’t reject any offer out of hand. Counter an initial offer at your list price. While this is a more hardball tactic, it will raise the eventual price you settle on. Negotiate if the seller offers a higher offer, but you are showing you know the appraised value of your home. If you aren’t in a hurry to sell, reject a low offer and invite them to submit a new one. This is like countering at your list price, and may drive a buyer off. However, it also shows you know your house value, and allows you to accept a different offer. Put the home on the market, and don’t accept offers until after you show your home at an open house and consider following up By putting a date that is a bit away you give the impression that there will be multiple offers which may encourage buyers to submit a higher offer. Offer to pay closing costs, but if possible add it to the price of the home. If the price of your home is 300,000 and closing costs are 5,000. Counter offer for 305,000 and you’ll pay the closing. The difference is that the buyers get to roll the closing costs into their loan amount. This only works if the total offer is below the appraised value of your home. Agree to concessions in other things to get the best price. Agree to a repair or a change to encourage them to accept a higher final price. Look to see if you are in a buyer’s or a seller’s market. If there are few homes for sale, and you are not having to sell quickly then you have more power in the negotiation. If there are many homes for sale, or you must sell, you should negotiate more, and you can read more about the topic to better understand your positioning. Avoid the impulse to hold out for the perfect offer. If you get an offer that is reasonably close to both your asking price and the appraised price, consider taking it. A lot of the time the first offer is the best and refusing it doesn’t lead to a higher price for your home. If anything is uncovered during a buyers inspection that needs repair, offer to fix the issue, lower the price to fix it, or provide the funds up front to do so. Know your goals, it is not always the highest price. If you are looking for specifics, then you can negotiate other aspects to achieve them. If you need a set time for the close, or you want a different concession, then you can aim for that instead of the highest price. Try to avoid being adversarial during the negotiating process. Keeping the process open and in an amicable tone leads to the best negotiations. Listen to buyer’s questions and respond quickly and honestly to keep the negotiations moving. Don’t answer too quickly. Buyers expect you to consider an offer, if you answer immediately they will likely grow uneasy. Do your best to find common ground with the buyer. This opens more lines of communication. Try to find interests that you share, or anything you can use to make them feel more friendly. Keep some skepticism to not fall for every line or story the buyer gives you to try and lower the price or concede something. Avoid using family members who are Realtors. While it seems like this would be a great idea, it is difficult to keep the relationship professional. Be realistic about what you can expect from your home. A buyer has no sentimental attachment to your home and will only be looking at the appraised value. So while you may attach great value because it was built by your great grandfather, that doesn’t translate to a buyer paying for that sentimental attachment. Ask leading questions if you are negotiating yourself. 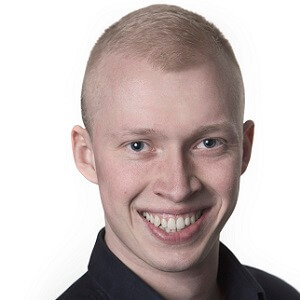 Leading questions normally invite a buyer to give you more information than they may intend. Avoid “yes” and “no” questions and keep them more open ended. If you are showing your own home take the kids to grandma’s. Don’t have your children at home when you are displaying it to buyers. It is easy for buyers to become distracted or annoyed by constant interruptions. We also encourage you to understand the psychology of pricing your home right to increase your chances of getting good offers.